The conventional cancer treatment system and the pharmaceutical companies that control it are dedicated to limiting the development of all other forms of cancer treatment. They have a chokehold on the development of alternative treatments, and they ruthlessly work together with the US FDA and various US government cancer research funding agencies to prevent new treatments from being approved for use by physicians. The reason is that most alternative cancer treatments are much less expensive than surgery, radiation, and chemo. They are also more effective and have many fewer (if any) unwanted side effects. The great fear of the pharmaceutical industry, and the vast cancer treatment system that it controls, is that a non-patentable and inexpensive cure for cancer might put them out of business. Sadly, these organizations exist to turn a profit from cancer treatment, which is measured in the billions of dollars every year. They are in the business of treating cancer not curing it. Alternative treatments for cancer have a history of curing cancer and it is this fact that big pharma wants to hide from the American public. 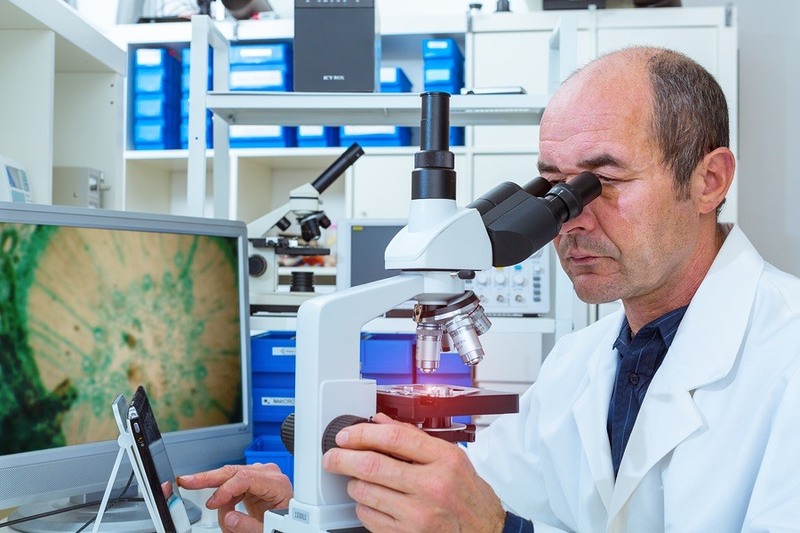 Historically, many successful approaches have been developed for curing cancer. We give a review of many of the most popular ones here. I am very blessed to have been healed of stage 1 breast cancer 3 1/2 years. After having a bilateral mastectomy and 17 rounds of chemo every 21 days, I feel blessed to be healed and still alive to see my 3 daughters and husband of 23 years every day. I thank God for healing me and pronounce no cancer in my body with the help of Dr Molemen Traditional Medicine which i purchased after reading some testimonies from people who were cured of several diseases after using DR MOLEMEN HERBAL MEDICINE for 14 days. I love your active effort in treating and curing these deadly diseases and i am one among the Thousands of your testifiers,i wish God's blessings on you DR MOLEMEN and everyone reading this. I believe in DR MOLEMEN healing medicine and I am advising everyone suffering from cancer or other disease ailment to contact him today for his medicine in order to cast out that horrible illness from your body, feel free to reach him on his email; (drmolemenspiritualtemple @ gmail . com) or (dr.molemenspiritualtemple @ yahoo . com) also call him on +2347036013351 also search him on Facebook for easy communication. Forever remain Bless! Of course anything that works to cure or prolong life is good. When doctors miss cancer signs and patients then deteriorate after discharge only to die after readmission and given no treatment, NO FOOD (iv feeding was needed) their complicity in the death is obvious.The patient was WASTED. The patient could have been referred to an outside private clinic for treatment if they did not want to treat. This was tantamount to murder as they presided over the patient's decline without ANYTHING being done to save the patients life. A monstrous story of incompetence, neglect and eventually cover-up by doctors, bureaucrats,government and hospital officials. Not over yet.. I never believed in spell casting but After 6 years of dating my ex-lover she broke up with me, I still imagine how Dr Lucky brought my ex-lover back to me in just 48 hours. No one could have ever made me believe that there is a real spell caster that really works. Am Cherry by name, I want to quickly tell the world that there is a real online spell caster that is powerful and genuine, His name is Dr Lucky, He helped me recently to reunite my relationship with my ex-lover who left me, When I contacted Dr Lucky he cast a love spell for me and my ex-lover who said she doesn't have anything to do with me again called me and started begging me. She is back now with so much love and caring. today I am glad to let you all know that this spell caster has the powers of bringing lovers back. because I am now happy with my lover, and the most surprising, is that our love is very strong, every day is happiness and joy. and there is nothing like been with the woman you love. I am so happy my love is back to me with the help of Dr Lucky if you have similar problem or you want to fix your broken relationship, stop divorce, get your ex back, get your divorce wife or husband back, I will advise you to contact him ,he is there to help you and put a smile on your face ask he did to me and others. his email: (Realspellcasteronline@gmail.com) you can also contact him if you have any problems..
Email Dr Lucky Now For Any Problem To Be Solve And please beware of scams Good Luck and God bless you Dr Lucky I Love You So Much.. I was told by my medical doctor that i was suffering from cancer of the kidney a years ago, and ever since then i have been on treatment but there was no improvement until i came across testimonies of Dr.Ivan on how he has been curing different people from all over the world, then i contacted him. After our conversation he prepared and send to me the Herbal medicine which i took according to his instructions. When i was done taking the herbal medicine i went for a medical checkup and to my greatest surprise i was cured from Cancer. My heart is so filled with joy. If you are suffering from cancer or any other disease you can contact Dr.Ivan today on this Email address: drivanherbalhome@gmail.com or WhatsApp him on this Tel.Number +2348116755255. He cures all manner of diseases. Whoever is behind this is an absolute moron. I skimmed the list of things they claim are effective for cancer and it's a bunch of BS that has been proven to be worthless for a cancer patient by real scientists many years ago such as Gerson or laetrile etc. This person promoting this dangerous crap should be in prison with Kevin Trudeau and Robert Young. If the pharmaceutical companies were having people killed who promoted these lies this fool wouldn't still be alive to spread this trash. Can you share where to find research on the following info stated in the article? "The five year period is a convenient number of years, because the cancers that will be created by exposure to radiation and chemotherapy begin to appear after 5 years. In this way, these secondary cancers can be called a new disease and not a recurrence of cancer." no more, here is the ultimate solution to your problem. Cannabis oil can also be used for curing and controling other diseases like: Asthma,Autism, Bipolar disoder,Burns,Arthritis, Epilepsy and most especially Cancer of any kind. by contacting Dr.Okhape through his Email: drokhapeherler@gmail.com or WHATSAPP: +2348084200820. CONTACT CHIEF OLOKE ON WHATSAPP .08035841258 OR EMAIL HIM ON (chiefolokeherbalsolution@gmail.com) YOU WOULD BE GLAD YOU DID. I am surprised and still shocked with the great miracle that dr oko ( solutionhome@outlook.com ) rendered to my husband and i,me and my husband was a herpes patient, we saw a blog whereby dr oko cured herpes, we (Me and My Husband) decided to contact him which we did, he asked us to buy some items, unfailingly we sent him the money he will need in buying the items required, He casted the spell and asked us to go for check-up after three days of casting the spell, Luckily for us we were tested herpes negative, now I believe all these Testimonies about him on the internet, he is truly a great man, if you want to discuss with him on how he cured us, kindly email the great Herbalist and a spell caster on solutionhome@outlook.com . you can also contact him for HIV, CANCER, ALS, LOW SPERM COUNT AND PREGNANCY SPELL. My wife was diagnosed with a cancer, ( before i learnt of Rick Simpsons oil / RSO ) the hospital said to do chemotherapy and radiotherapy.. she did.. and went through a lot.. but no cure, after a while the doctors said the cancer was spreading and we could look for alternatives.. i searched the internet and found out about the oil.. asked alot of questions.. watched the videos etc.. we made the oil our selves but it couldn't just work out we were doing more harm than good and the cancer was still there spreading, i searched more on the internet i found a testimony on how a lady got the oil via an email, ricksimpsoncannabisoil96@gmail.com immediately copied the email: i wrote to this very email ricksimpsoncannabisoil96@gmail.com and in an hour later i got a reply back asking me some few questions, and enlightened me on how to get the oil in the next 48hours, i placed my order and in the next 48hours the medication oil got to us. immediately my wife started using the oil, it been two months now, since my wife has been using the medication oil and the cancerous problems are gone this very fact was clarified by the doctor.